In case of cancellation 14 days before arrival 30% of the full amount of reservation will be charged from the guest's bank card. In case of cancellation less than 14 days before arrival 70% of the full amount of reservation will be charged from the guest's bank card. If guests do not arrive on the day of arrival the full amount of reservation will be charged. The reservation is valid only until 12:00 on the next day after day of arrival. After the booking you will receive a message with the personal code of your booking. The deposit payment is 30% of the full amount of reservation will be charged from your credit card. This deposit amount guarantees the reservation and will not be refunded. The total amount of reservation have to be settled on the day of arrival. the balance payment should be made 30 days before the date of arrival. Therefore, please specify the exact number of guests and children. The local tourist tax is EURO 1.50 / night for each person from the age of 15 and is not included in the price of accommodation. The tourist tax is only valid for adults. Children do not pay tourist tax. Breakfast is not included in the price of accommodation, but can be ordered and purchased at a surcharge of 9.- EUR / person. There is a "Late check-in" option. This option allows you a later departure, up to max. 12:00. But it has to be settled in advance and costs 10.- EUR / room. Smoking in a rooms is strictly forbidden! In case of later departure, the price will be charged for another day. Guest's bank card is used as a guarantee for the booking and can be charged in case of violations against our terms and conditions and our hotel rules. Sonnenalm - this ski hotel in the style of the national Austrian chalet with a homely atmosphere and a restaurant serving local cuisine. Its distinguishing feature is the presence of the ski lift on site. 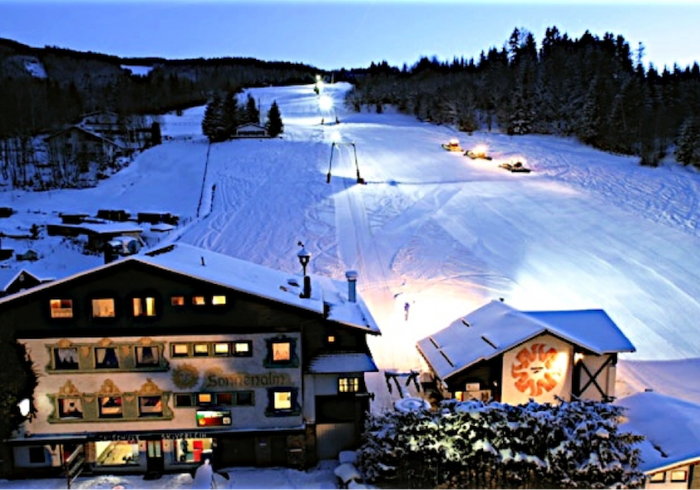 As well as ski school with certified international trainers, own ski equipment rental place, bar and restaurant. The hotel allows guests to enjoy all the amenities of a ski holiday in one place. In summer Sonnenalm is very popular among all those who love hiking and mountain trekking and cycling.